BOTOX is a brand-named procedure that involves nonsurgical injections of botulinum toxin to temporarily reduce fine lines in the face and neck. 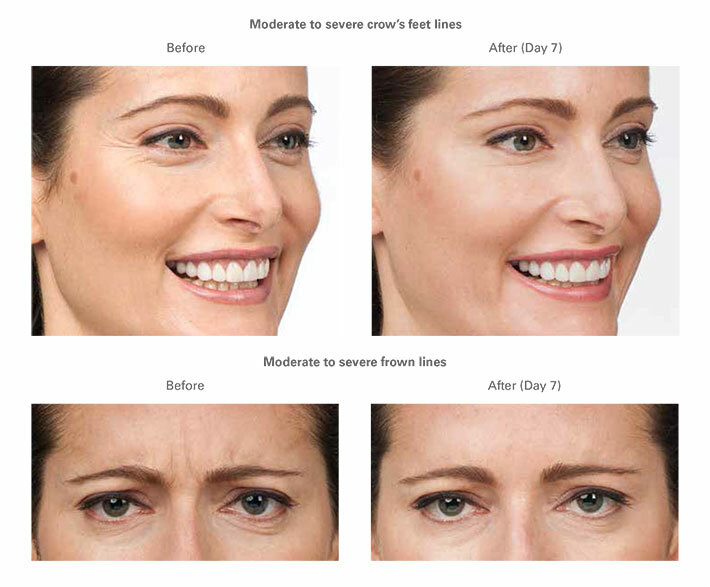 Now one of the most popular procedures of the face, BOTOX treatments are a safe option for relaxing the facial muscles that cause lines on the face, and with minimal side effects. Every time a person expresses emotions, the delicate muscles of the face create lines in the skin that can deepen into permanent wrinkles. These lines are signs of aging and can make a person appear to be angry, stressed or tired even when facial muscles are at rest. 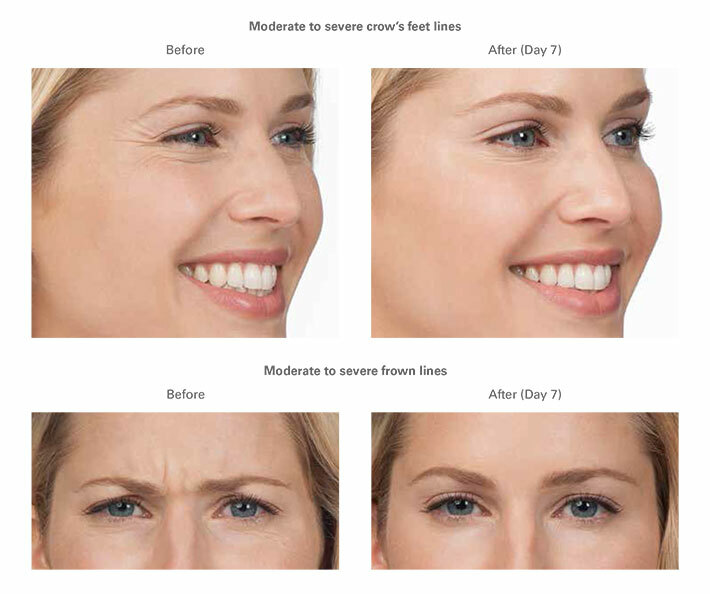 Injections of BOTOX block nerve signals to the muscles to prevent the muscle contractions causing the lines. Temporarily smooth or reduce the appearance of crow's feet around the eyes, forehead furrows, frown lines around the mouth and neck bands. Fill out lips to eliminate lip lines or to address a gummy smile. 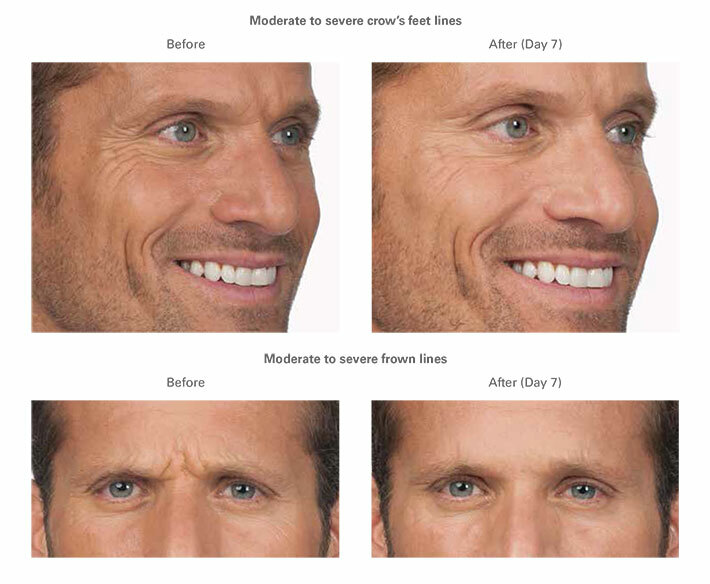 Fill out a square jaw line to create a softer appearance. This is a procedure that can be done in the office, taking as little as 15 minutes. A very thin needle is used to carefully inject botulinum toxin, a purified substance derived from bacteria, into the specific muscles that produce wrinkles. The amount of injections depends on the individual's aesthetic goals and facial features and the severity of the wrinkles. After receiving BOTOX injections, it's important not to rub or massage the areas that have been treated. If the BOTOX is forced into the wrong areas of the face, it could cause unintended weakness or drooping in those facial muscles. Though extremely unlikely, it's possible for botulinum toxin to spread, causing muscles weakness and problems with breathing, swallowing or speaking. Other than not being able to rub or massage the treated areas, there are no special recovery steps following BOTOX injections. Patients will need no downtime and can immediately resume their normal activities. Some results may be visible within a few days, but it will take about a week to see final results. BOTOX treatments usually last three or four months. BOTOX is generally a cosmetic surgery and is not covered by insurance companies.